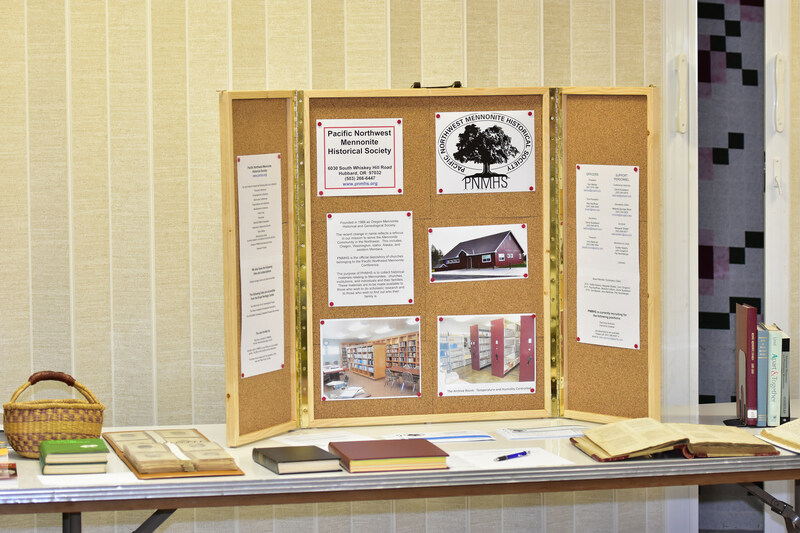 Pacific Northwest Mennonite Historical Society has an annual meeting each year and an occasional special event. This page is a list of these events with links to the program, audio and video recordings when available. Scroll down page for earlier events. 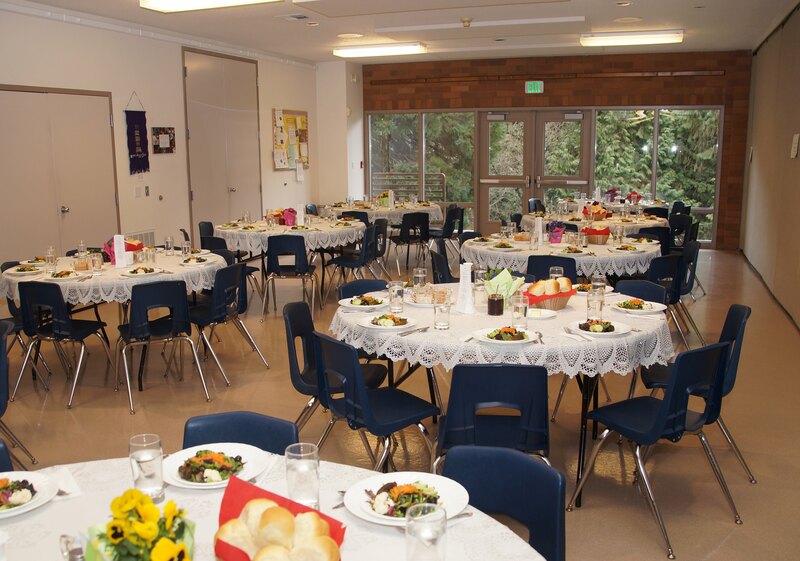 Lunch at 12 noon, cost is $25/person, free program begins at 1:30. 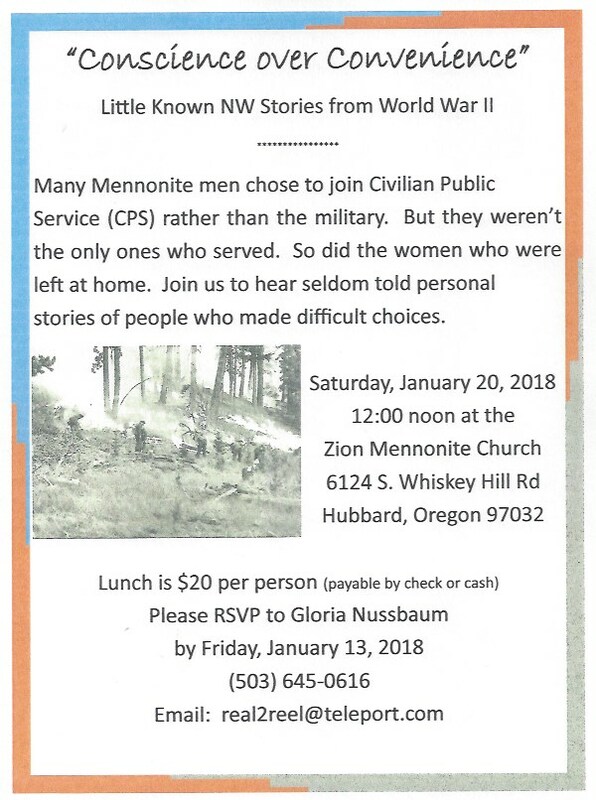 January 20 at Zion Mennonite Church, Hubbard, OR. 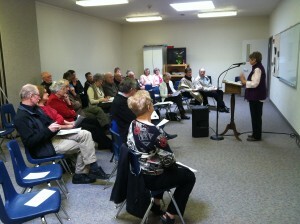 The program highlighted stories from World War II’s Civilian Public Service program. CPS offered a non-violent military alternative, but it involved more than just young male conscientious objectors. It included wives, children, and churches. Perhaps your own parents and grandparents chose to serve through CPS rather than the military? Join us for seldom told personal stories of people who made difficult war-time choices. Panel members include Ruth Goertzen-wife of Adolph Goertzen, Earl Kenagy, and Sterling Roth. 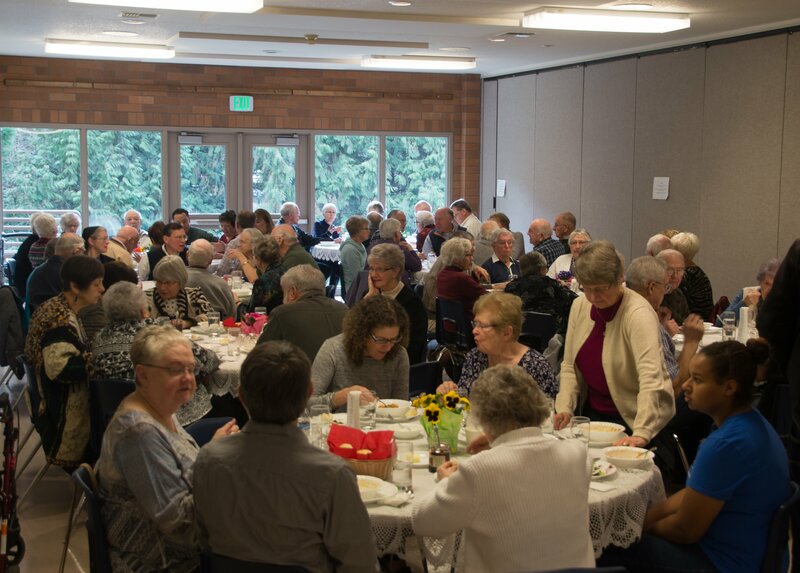 It may have been cool and rainy outside on Saturday, January 21, but inside Zion Mennonite Church there was warm fellowship, a delicious lu nch of homemade rolls, soup and pie and amazing stories! 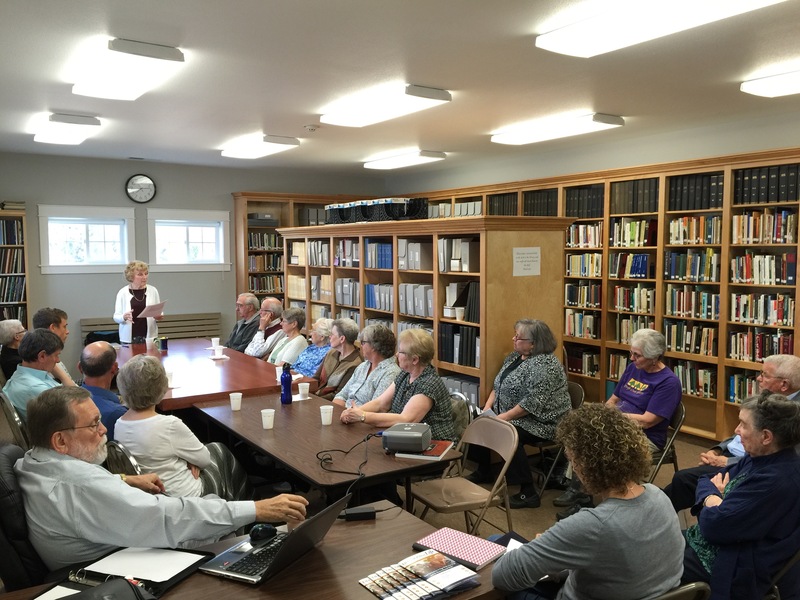 About 35 persons attended the 2017 Annual Meeting of the Pacific Northwest Mennonite Historical Society <a few photos>. 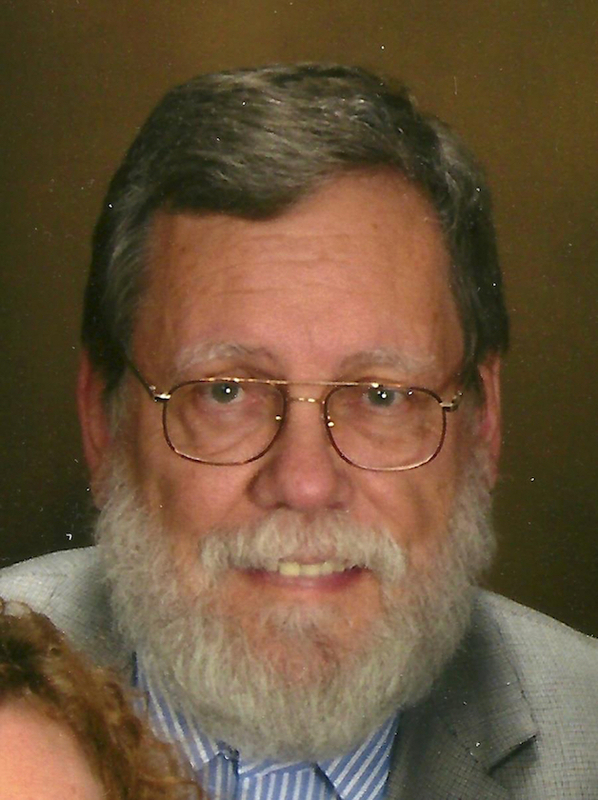 The stories came from Larry Graber who exhorted us to remember why it is still important to teach the peace position in our churches and not to lose sight of the different ways we have to work for peace for those who come after us. He then regaled us with stories of his PAX service in the Congo from 1957-59…a time when MCC sent young people, often fresh off the farm to work in remote parts of the world to do challenging work with little supervision. The climax of the event was when he showed us his 60-year-old slides on a real slide projector, concluding with how those very pictures were “stolen” and found again in Germany on his way back to the States. To hear Larry’s stories, and see those slides, click here. 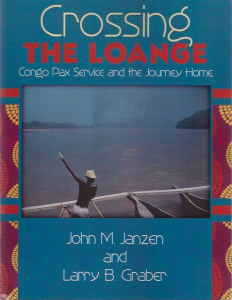 To learn more, read “Crossing the Loange, Congo Pax Service and the Journey Home” that Larry wrote together with John Janzen, his PAX colleague and fellow traveler. The book was written in 2015 after Larry discovered a box in the attic of his parent’s home. He was amazed to learn that his mother had kept all the letters he wrote home while he was serving in the Congo! 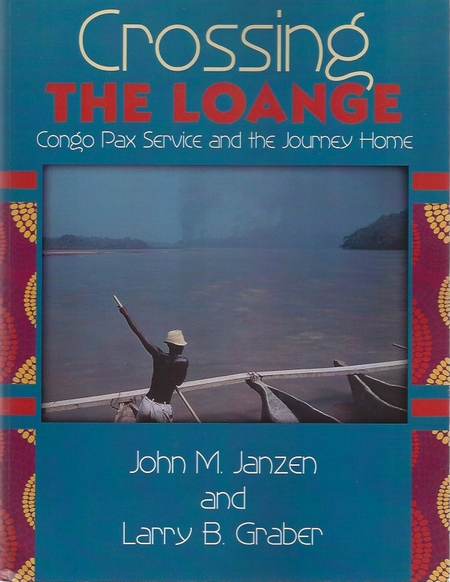 The book is available for loan from the PNMHS library or can be purchased from Larry by email. Where in The World Did I Come From? Saturday, October 15, 2016, 2:30 – 4:30 p.m. 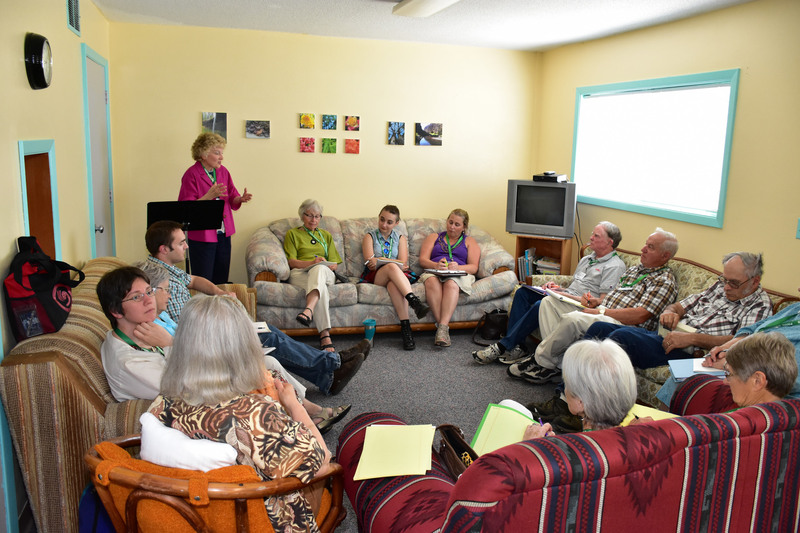 This workshop was offered at the 2016 annual gathering of the Pacific Northwest Mennonite Conference which was hosted by Zion Mennonite Church. A video recording of the workshop may be viewed at this link. Find congregational archival resources here. Everyone has a story that matters and is worth sharing. The Pacific Northwest Mennonite Historical Society invites you to join us for an inter-generational, interactive workshop, “Your Story Matters,” as we share stories and discover ways to record/preserve them. And, if possible we’d love to have you come with a member of your family from a generation other than your own . . . a granddaughter, a son, a grandmother . . . you get the idea! In addition to learning things about your family member, this will also be an opportunity to learn more about the incredible resource that is the Kropf Heritage Center. We’ll meet at the Center from 2:30—4:30pm on Sunday, October 18, 2015. 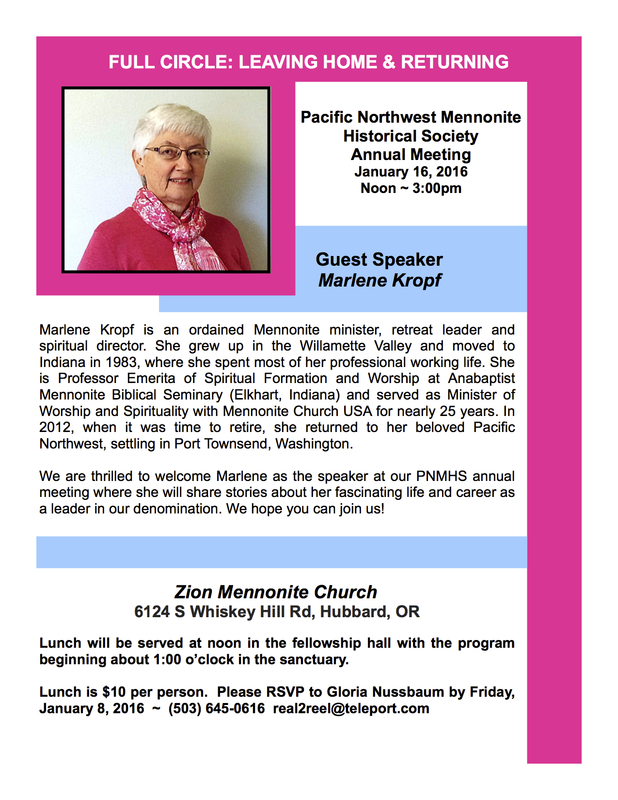 Please RSVP to pnwmennonite@canby.com by October 10, 2015. Refreshments will be served. Workshop “Your Story Matters” prepared and presented by Gloria Nussbaum. The first 35 minutes of this 90 minute workshop were video recorded. You can get a good feel for the workshop by viewing the video at this link and looking at this handout. Shirley Hershey Showalter visit On the evening of July 6, 2014, Shirley Hershey Showalter shared from her recent memoir, "Blush, A Mennonite Girl Meets the Glittering World" at Pacific Northwest Mennonite Historical Society near Hubbard, Oregon. She was accompanied by her husband Stuart, this was one of 5 stops on their Pacific Northwest tour. Spring Meeting Zion Mennonite Church Elder Jacob A. Wiebe and the Formation of the Krimmer Mennonite Brethren - Church Presented by Jerry Barkman April 14, 2013, 2:30 p.m.
Fall Meeting at Lebanon Mennonite Church Tina Kauffman, of Albany, OR, will share stories from her new book, Immigrant Daughter, A monument to poverty. "The book is about my family's journey in 1925 from Russia to Canada where my younger sister and I were born. My parents and older siblings had been living well in a small Mennonite village in Ukraine until World War I when the Communist Revolution turned their world upside down" explained Tina. 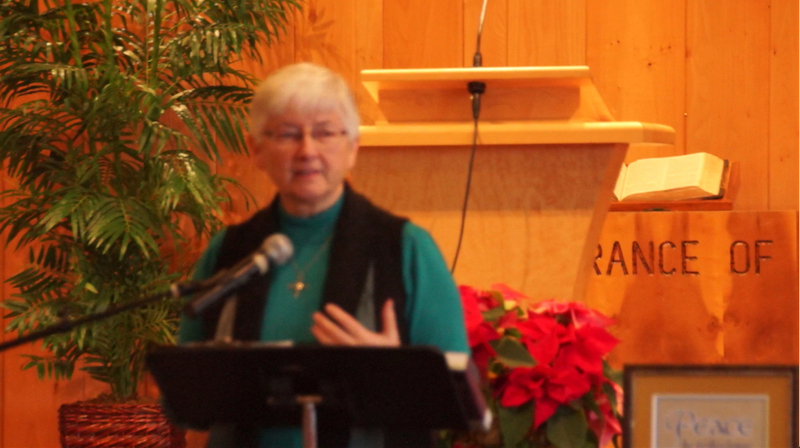 Photos, Thank You Lists Speaker: Hope Lind, "Building on our Heritage"
Dinner Meeting at Zion Mennonite Church A Contemporary tour of Anabaptist-related sites in Europe by John L. Ruth; a digital presentation. Spring Meeting at Prince of Peace Community Church Eileen & Harold Weaver, "History of the Firdale Congregation"
Spring Meeting at Albany Mennonite Church John D. Roth, "How Stories Shape our Future"
Spring Meeting at Albany Mennonite Church Lead Kindly Light by Helen Grace Leisched. The story of the journey from the Ukraine during WW II and immigration to Canada. 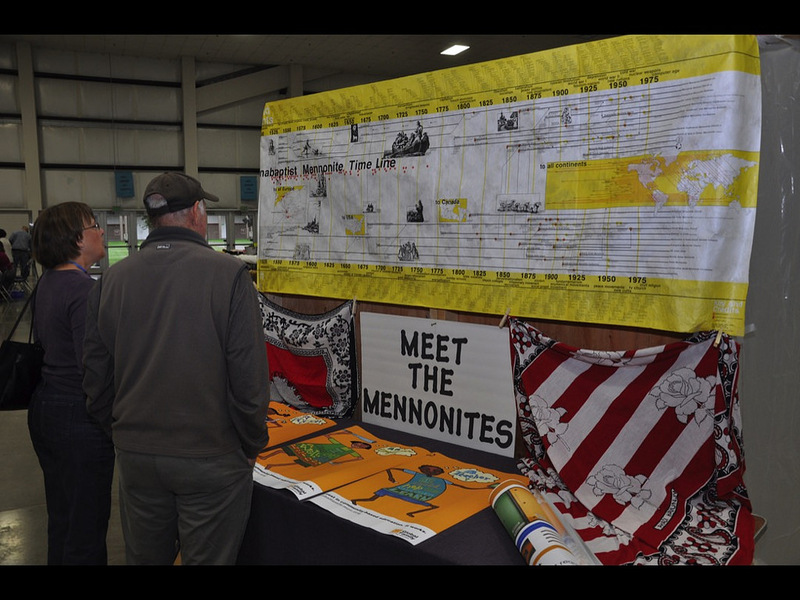 North American Mennonites: Where to Now?